If you're looking for the best bounce house and party rentals Cincinnati has to offer, you've come to the right spot. 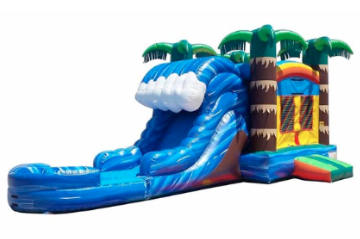 Party Go Round is proud to provide Greater Cincinnati's best selection of bounce house rentals, water slides, obstacle courses, interactive games, tents, tables and more. Let us take the stress and worry out of your next event. With our convenient online booking system, it's a breeze to book your next birthday party, school field day or corporate function. 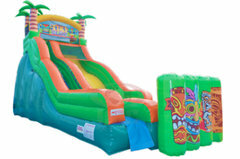 Inflatables & party rentals is what we do, and nobody does it better than Party Go Round. When you find the perfect item, simply add it to your cart and continue shopping or proceed to checkout. 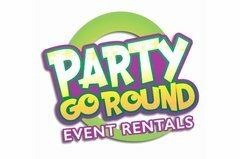 For your next event, turn to Party Go Round for the best inflatable rentals Cincinnati has to offer. Proudly serving all of Greater Cincinnati, Mason, Florence, Independence, Clermont County, Butler County, Warren County, Northern Kentucky, Southeast Indiana and all surrounding areas. Party Go Round is proudly insured by the CIA (Cossio Insurance Agency), our units are inspected every year by the Ohio State Agricultural Department (Ride & Safety Division) and we are also SIOTO (Safe Inflatable Operators Training Organization) Certified. 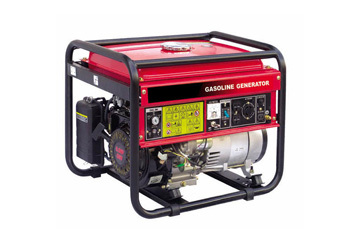 We take the safety of you, your children, your students and your families very seriously. Just see what our customers have to say about us by reading our Google or Facebook reviews. Let us show you what 5 STAR SERVICE really means. 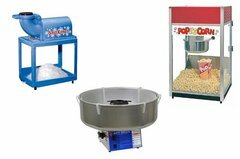 What size or type of inflatable should I rent? 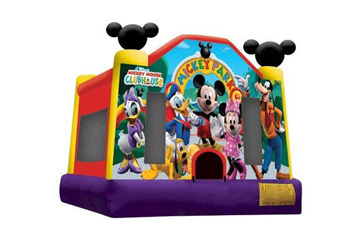 Our bounce houses are perfect for kids and adults alike. If you have limited space, this could be the perfect choice for you. Our average bounce house is right around 14' x 14' for the actual bouncing area; however, we do need to make sure we have enough clearance for the blower and the entrance. Be sure to take into consideration low hianging trees or power lines that could interfere with the inflatables. Our rainbow bounce house is a perfect, gender neutral choice that would be perfect for any boy or girl birthday party. 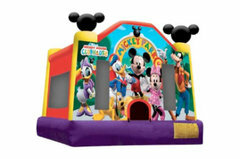 We also have licensed, themed bounce house rentals such as Mickey Mouse, Justice League and more. Our bounce houses are a great choice for the best birthday parties Cincinnati has to offer. 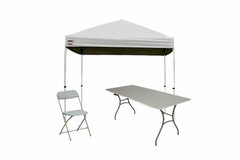 These are also perfect for any other backyard parties, daycares, church picnics, or really just about anywhere. See our bounce house rentals! 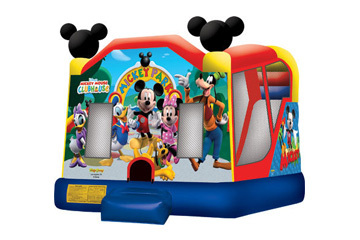 Combo bounce houses are definitely one of our most popular categories. As the best inflatable rentals Cincinnati has to offer, a combo bounce house is the perfect combination between a regular jumper and a slide. Why not get the best of both worlds. Also, all of our combos can be used wet or dry, so they are the perfect choice year round. Simply hook the water hose up and you are ready for some wet and wild fun. Our Princess Combo is the perfect choice for your little princess. With its beautiful pink and purple colors, and eye catching graphics, you will see their face light right up. Having a tropical themed party? Then check out our Tropical Wave Combo. The breathtaking design will transport your guests to an oasis of dreams, full of palm trees and soothing waves crashing on the beach. 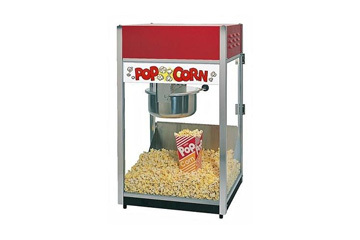 Be sure and check out our cotton candy machine as well. Add it to a Party Package and SAVE BIG! Click here to see our combo bounce houses. Our inflatable dry slides are very popular for large events; for two reasons. First, unlike a bounce house, you have a constantly flow of participants. Line up, climb up the slide and then go down the slide. This way everybody gets a turn without waiting too long. Also, there's no fussing with water with worries of who forgot their swimsuit, getting in the car soaking wet, or just the logistics of getting a hose long enough to reach for larger events where a water source isn't readily available. But don't worry. The slide will be plenty fast thanks to a great product we use called Slide Slick: the industry standard for increasing the fun on vinyl slides. Our 15' Retro Slide is perfect for smaller kids, but also fun for the older children as well. Our 19' Blue Ice Slide is good for both kids and adults alike. 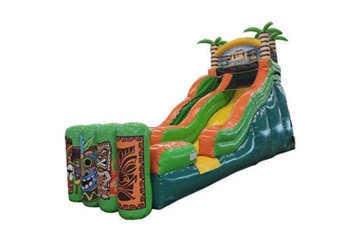 Click here to see our inflatable dry slides. What can be said about water slide rentals that hasn't already been said? Bottom line...THEY'RE FUN! There's no better way to cool off in the humid Cincinnati summers than inviting a bunch of friends over and racing down and inflatable water slide. Not only are they perfect for kids, but adults seem to have more fun than anyone on them. You can feel the cool wash over you just looking at our mind-blowing 19' Blue Ice water slide. With its beautiful blue and white marble vinyl, this slide is sure to be the centerpiece at your next party or event. Another great option is our Double Lane Slip-n-Slide. This isn't the one we all had as kids. This baby is THE REAL DEAL! Who's up for a game of "SLIP & FLIP"? 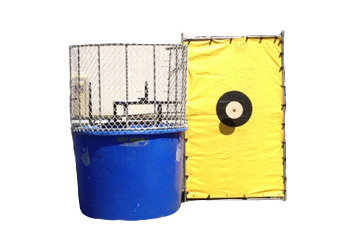 Beat the heat with our cool water slide rentals and our awesome dunk tank rentals. Click here to see our water slides. When it comes to obstacle course rentals in Cincinnati, NOBODY beats Party Go Round. 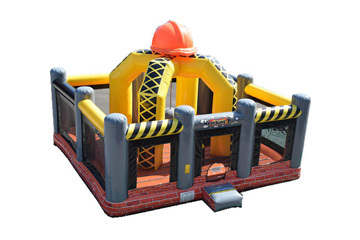 Obstacle courses are another great choice for large events since there is a constant flow of particiapants. Just about every school, church or company function we service chooses at least one of our great obstacle courses for their event. 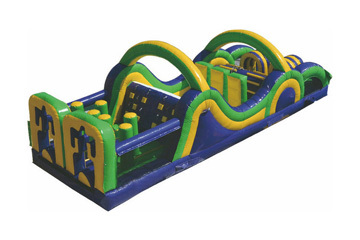 Not only do we have the best party rentals Cincinnati has to offer, we also have the area's LONGEST OBSTACLE COURSE!!! 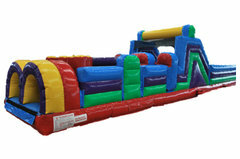 Our 100' doubel lane inflatable obstacle course is a work of art. Consisting of 3 separate pieces, your guests will jump, dive, leap, climb and slide their way to victory. Even if you come in second place, you'll still feel like a champ after tackling this bad boy. 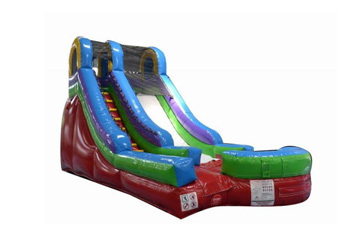 We also have a 40' obstacle course, a 31' that is great for indoors, or put together a couple different pieces for the hundred footer to create either a 61', 70' or 71' obstacle course. Turn to Party Go Round for the best inflatable rentals Cincinnati has to offer. Also, be sure to check out our rock climb slide. 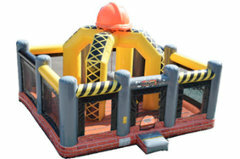 Click here to see our obstacle courses. 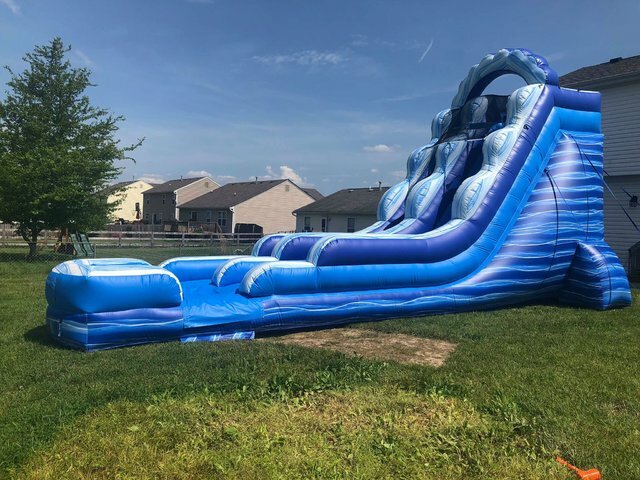 Our huge inflatable game rental inventory is a big reason that Party Go Round has become Greater Cincinnaiti's #1 choice for school field days, company picnics and church events. We stay on top of what the top games in the industry are, and we deliver them to you. 2018 brought us The Human Whack-A-Mole. We posted a video on our Facebook page, and the video has recieved over half a million views to date. Just as much fun to watch as it is to play, this great game can accomodate 6 players at a time, not including the "whacker". 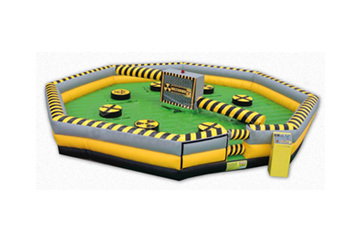 We have also recently added the cream of the crop, the holy grail of all inflatable games...DRUM ROLL PLEASE...The Toxic Meltdown! 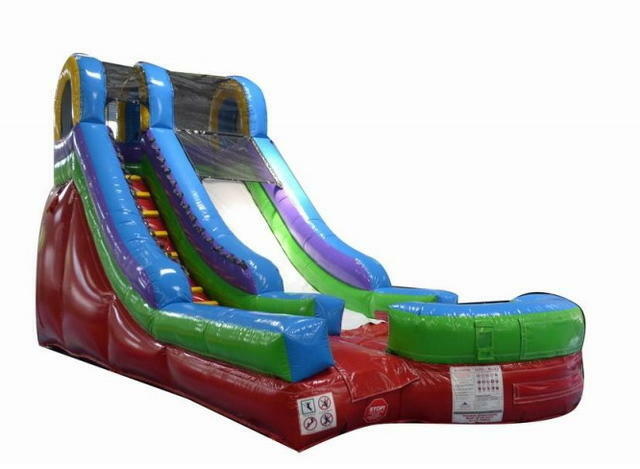 This 8 player game will draw crowds from miles around, as players duck, dodge, jump and dive over and under the swinging mechanical arms of this mechanical ride. The Meltdown is also great for fundraising events. 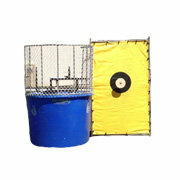 If you like these, be sure and check out our carnival games as well. 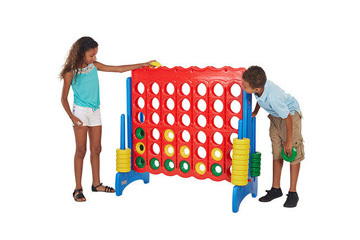 Click here to see our inflatable games.